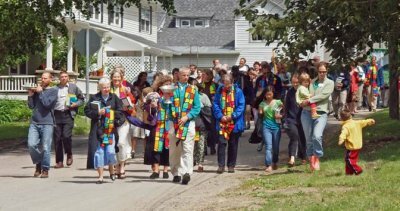 Champlain Valley Unitarian Universalist Society offers inclusive community, spiritual sustenance, and religious education, thereby encouraging lives of meaning, integrity, and service. We are a welcoming congregation, open to all who find our emphasis on personal religious integrity and commitment meaningful. We are Unitarian Universalist and Buddhist, Christian, Hindu, Humanist, Jewish, Muslim, Pagan, atheist and agnostic, believers in God, and more. We have radical roots and a history as self-motivated spiritual people: we think for ourselves and recognize that life experience influences our beliefs more than anything. Have you ever wondered when Unitarianism and Universalism merged to become Unitarian Universalism? Or why we light a chalice? Or what put the UUA on J. Edgar Hoover’s radar? The answers to these and other questions live in our Unitarian Universalist history—a living tradition that provides challenge, insight and inspiration for our faith even today. For example, the values underlying our Standing on the Side of Love advocacy campaign, and the more recent Love Resists campaign, are a continuation of a long lineage of social witness such as the Declaration of Social Principles, adopted by the Universalist Church of America a hundred years ago. It called on Universalists to move beyond their church walls and into the community to address the social problems of the day. 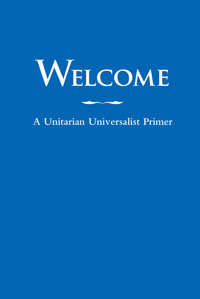 Test your knowledge of Unitarian Univeralism and the UUA. See how your UU knowledge stacks up by answering a few questions, and enter to win a $50 gift certificate to inSpirit, the UUA’s online book and gift shop.